This is a rare opportunity to become the owner of a caravan on our Park for significantly less than £10,000. 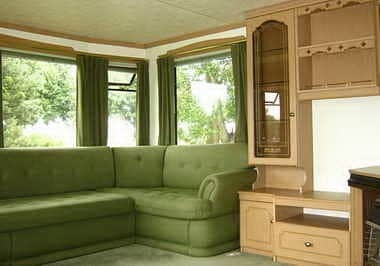 Very attractively priced at £9,000 this caravan has only had 2 previous owners and is in very good condition. 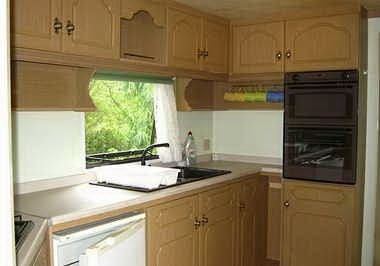 It is a 2 bedroom holiday home with galley style kitchen and sizeable lounge area. The master bedroom is nicely appointed with 2 windows and a separate connecting door to the bathroom. 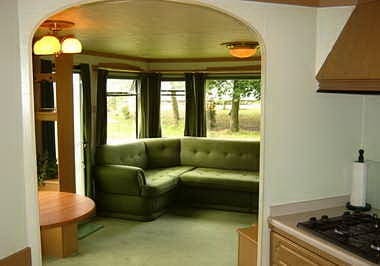 The caravan is situated in a quiet, private corner of the caravan park screened by trees down one side and at the back.